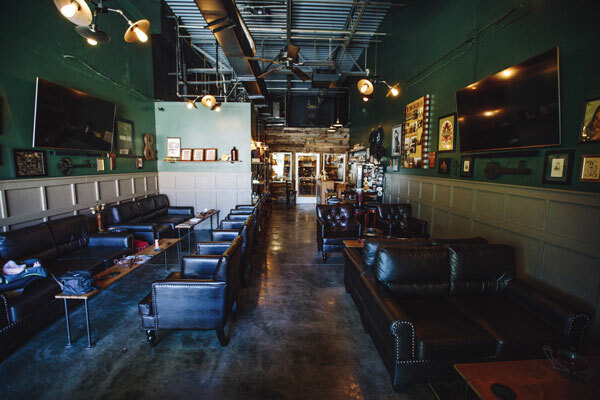 Ian and Rebecca Harvey, a tobacconist couple running Smokers Abbey in North Austin, Texas, share how they combined their eclectic taste for cigars, pipes, music and art to create a local hangout. Ian and Rebecca Harvey love the way that the act of smoking a cigar or pipe forces you to slow down and connect with those around you. 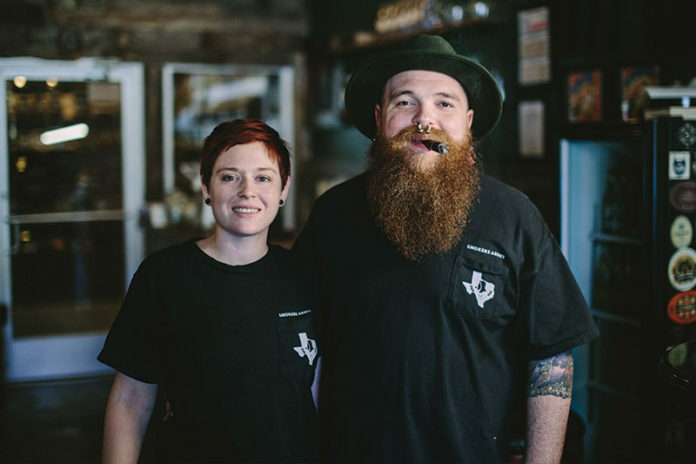 This is what led the couple to become tobacconists in 2017 when they opened Smokers Abbey (smokersabbey.com/austin) in North Austin, Texas. Smokers Abbey is part of a franchise owned by Joshua Stump, who, like the Harveys, wanted to create a place of fellowship and decided on a church theme when launching the first Smokers Abbey store in Nashville, Tennessee. Smokers Abbey, as its name implies, is designed to be a community for smokers. The North Austin store has an eclectic mix of faith-based art, music posters and artists that the Harveys enjoy. It also has the vibe of a pub, tapping into the couple’s Irish roots. It was designed to be a comfortable space in which smokers from all walks of life would feel at home. 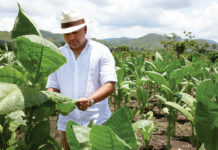 Although relatively new tobacconists, the Harveys have experienced it all while building their business. They’ve dealt with difficult landlords, dishonest contractors, building setbacks, limited funds for their startup status and more. They had to work with very little but still managed to not only open their store but to see it grow in the past year. Recently, Rebecca Harvey shared the couple’s story and explained how other entrepreneurs can get past obstacles to reach satisfying—and profitable—success. 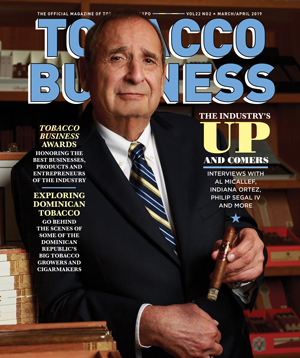 Tobacco Business: On the subject of your unique selection of cigars, Smokers Abbey sells only boutique cigar brands. What made you decide to focus on the boutique cigars rather than more well-known brands? Rebecca Harvey: It was a twofold thing. 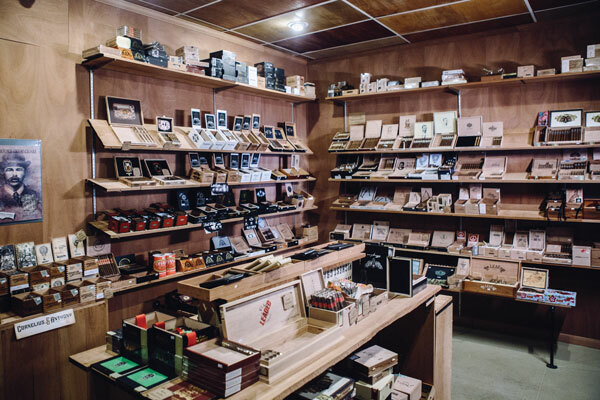 We wanted to distinguish ourselves from other cigar shops in the area, and we were tired of seeing the same cigar brands in all the shops we went into. Second, we felt that this side of the industry was interesting and exciting but overlooked. We believe our companies make some of the best cigars in the world, but because they are small they get overlooked. Tell us about your “LE table” and how the Limited Edition showcase fits into your merchandising and sales efforts. It just started off as a table. 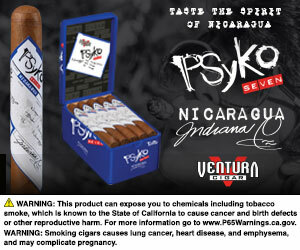 Now we use it as a way to highlight the rare and limited cigars that come out from our companies. Some of the cigars are one-time finds and others are annual releases. [Often] this is the first place our customers will look when they walk in the humidor. How do you keep track of what brands and products are selling well in your store? We use the Clover POS system to track our inventory and analytics. We also keep a close eye on what is selling by walking around in the humidor and what brands our customers are excited about. Rebecca, you have a love for pipes. Where did this appreciation for pipes come from and how do pipes fit into Smokers Abbey’s focus and services? I started smoking a pipe in college. My friends were all smoking cigarettes, and that wasn’t all that appealing to me. I loved the smell of the pipe and how communal the act [of smoking it] was. There are not too many people who don’t love how a pipe smells. We carry a variety of pipes, starting from the cob pipe for the newbie up to a pricier Briar Works pipe for the more experienced. I wanted everyone to be able to try [pipe smoking]. We make it so they can give it a shot for $15. If they love it, then we can go up from there. If they don’t, then they haven’t invested a bunch. 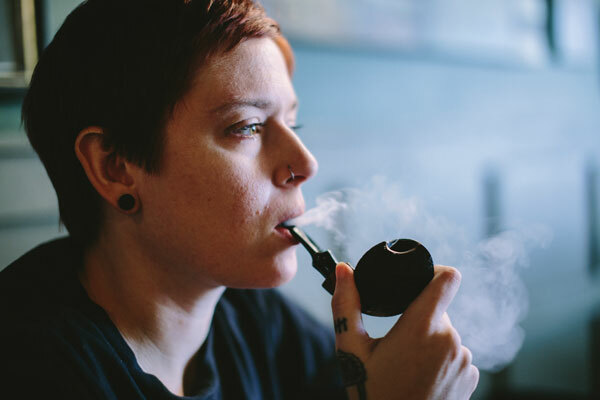 We carry a variety of pipe tobacco to try to give everyone something to try: aromatics and non-aromatics. Talk about the design of the store. For those who haven’t visited it, how is it unique and how do you use this unique nature to attract new and existing customers? The design of the store is that of an Irish pub mixed with a living room. Everyone wants to be able to smoke in their house, and at our shop you can! We want to be the ‘local’s living room,’ somewhere for people to come in and feel at home. When people walk in, everyone is greeted by both staff and customers—usually by name if we know it. Our lounge is set up to encourage conversation. You can join a group and get to know someone new, or you can sit over in a corner and read a good book. Your store does a ladies’ night. What made you decide to launch this event and how do women react to an event tailored just to them? We do a ladies’ night the third Thursday of each month. We started it because women in the cigar industry are extremely underserved. We wanted to educate women in cigars and pipes and show them that it is all-inclusive. We have ladies who started out smoking cigars together at ladies’ night and now hang out outside of the shop. What would you say has been the key to your store’s customer retention? Consistency. 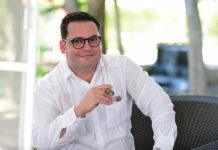 They know that we are working hard to bring in new and exciting brands, that the core lines will be here, but also that new, limited cigars will be coming in. How does Smokers Abbey give back to the community? We partner with like-minded nonprofits such as Deb’s Dream, Soles 4 Souls and Cigars for Warriors. We also focus our annual Christmas party to give back. For example, this year we supported a local family who has had a hard time. You run Smokers Abbey alongside your husband, Ian. How do you balance business and your personal life? We are team first and foremost in our marriage. This is not the first time we have worked together, but it is the first time we have owned the business. We work off of each other’s strengths and use that to grow Smokers Abbey. At this point, early in our business, we are still figuring out the business-life, family-life balance. We make it a point to go out and do things as a family every week. We eat together for dinner most nights, even if it is right outside our shop.